People have to face many situations where they are let down or disappointed by the ones they have trusted the most. Going through such situations is not easy and one can hardly pick himself up from it. How does it feel, what people think and say about it? We have the answers to all such queries. Check out the most situational and inspirational people let you down quotes. Try to see the best in others but get ready for the worst as well. It's never too late to start anew. No need to trust others blindly. Be brave enough to change that behavior. Being alone is better than being let down. What say? 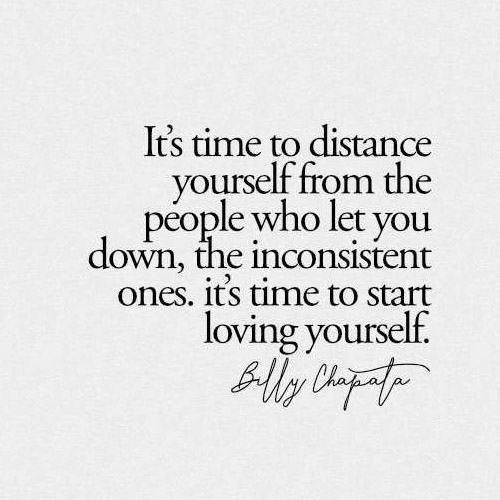 First of all, love yourself. Hmm! Advantage of being hurt. No one can hold you up more than your family. That is the best advise you possibly could have. Don't let anyone take your advantage. 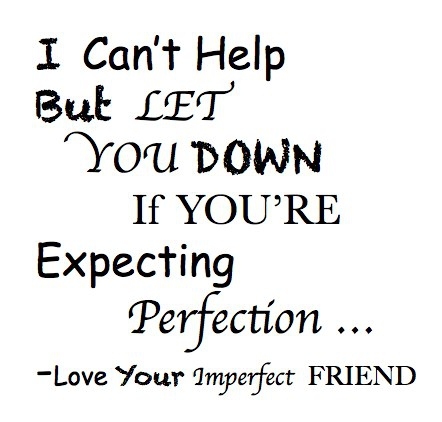 No one can be perfect. Do not expect too much. You are the best support for yourself. That is the world, my dear! Don't let that water of negativity get inside you. Nothing comes before your self-respect. That is the real way to lead a life. It's always the people who hurt. People tend to change with time. Don't take to heart. Yes, you are. Positive minds do not conspire it. Understand a tricky situation like this. Don't you think it's a mean idea? Strangers can also be equally deceiving. No one to trust. All that is a part of life. 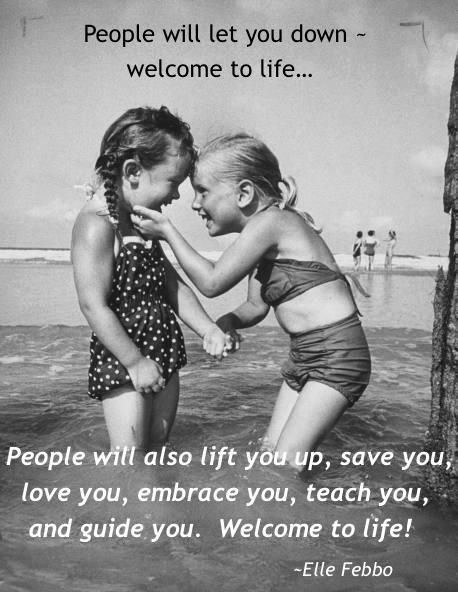 Welcome to life. Don't let the anger kill you. 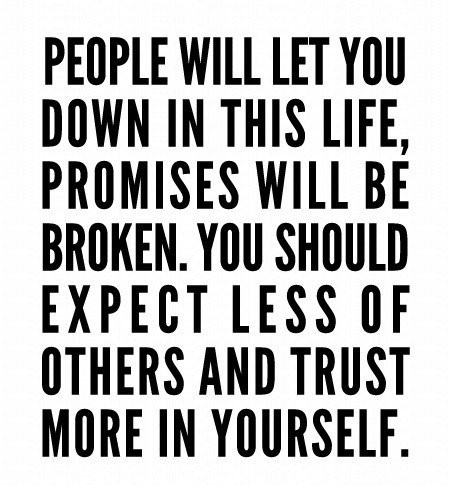 The best of all people let you down quotes. That's what I think. Which is yours? It's the reality of life. Know when to let go. God never fails that is true. Pick yourself up and walk proudly.